Sad news for one of our Bellyitch Bumpwatch alums, Lauren London. 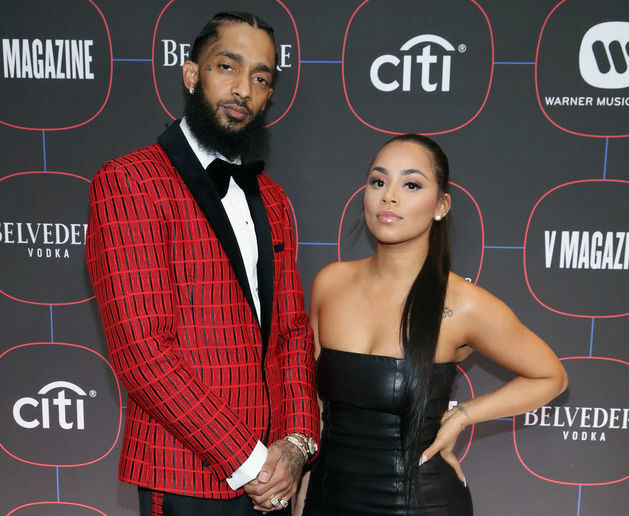 Her longtime boyfriend, Grammy-nominated rapper Nipsey Hussle (real name Ermias Asghedom) was tragically shot and killed outside his clothing store in the Los Angeles California Crenshaw neighborhood yesterday, March 31. He was only 33 years old and is dad to London’s 2-year old son Kross. She has a 9-year old son named Kameron with rapper Lil Wayne. Since the murder, several people and including many celebrities have shared their words of condolences and paid respects to Ashedom who started as a dealer to survive his rough neighborhood but eventually opened a co-working space, and planned to revitalize a local mall and community after gaining fame in the entertainment industry. Police are looking for the suspects and have described at least one as someone in his circles, according to the Los Angeles Times. The couple have kept their romance under raps for 6 years but last year opened up in a GQ magazine feature and a shooting of the magazine’s popular The Couples Quiz vid.